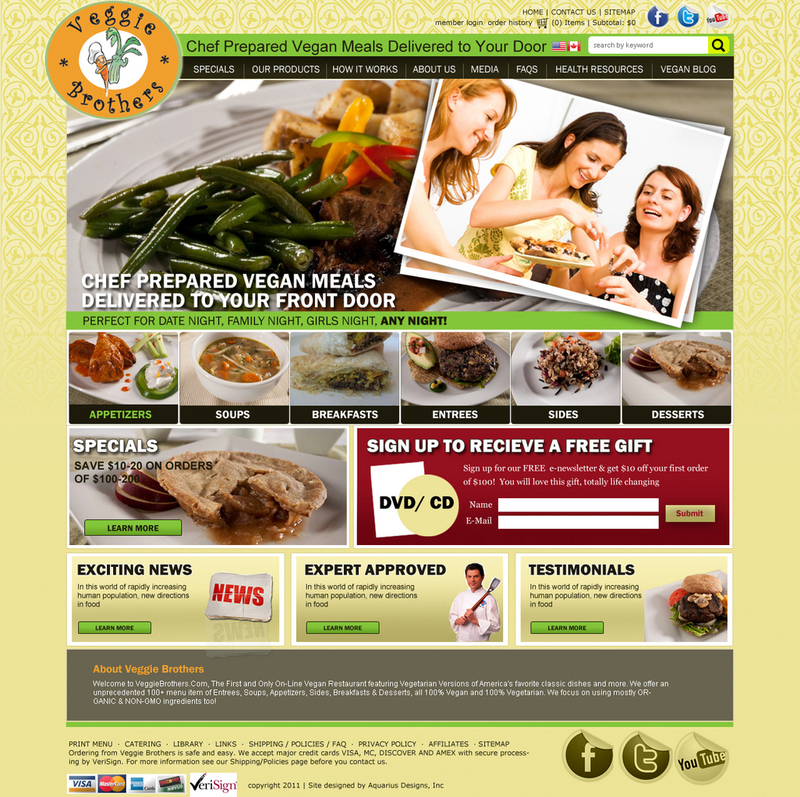 Online vegan food delivery website company, Veggie Brothers – approached Aquarius to help with the re-design of their e-commerce website and online marketing. We helped redesign the website and work with the integration with their e-commerce system. we worked very closely with Michael the founder on the marketing messaging, organization of the product line and helped with the online visibility of the website.